Berlin, 30 May 2018. In less than a week, on June 4th, ten years ago, the orchestra that was to become the Baltic Sea Philharmonic gave its first ever concert, in the Latvian capital Riga. Under the baton of their Estonian-born conductor Kristjan Järvi, the musicians of the Baltic Sea Youth Philharmonic performed Dvořák’s ‘New World’ Symphony, a new commission – Burning Fiery Furnaceby Niels Marthinsen, and Beethoven’s Triple Concerto with Danish violinist Søren Elbæk, Latvian pianist Lauma Skride and Lithuanian cellist David Geringas. The ensemble would go on to repeat the programme some three months later in Peenemünde on the island of Usedom, at the Usedom Music Festival. By 2014 the orchestra was selling out prestigious venues on tour, including the Berlin Philharmonie, and performing with world-class soloists such as Julia Fischer and Valentina Lisitsa. The ensemble’s impact as a symbol of international cooperation was recognised in 2015 with the award of the European Cultural Prize from the European Foundation for Culture ‘Pro Europe’. In 2016 the orchestra was renamed the Baltic Sea Philharmonic and toured with Gidon Kremer and the Kremerata Baltica. 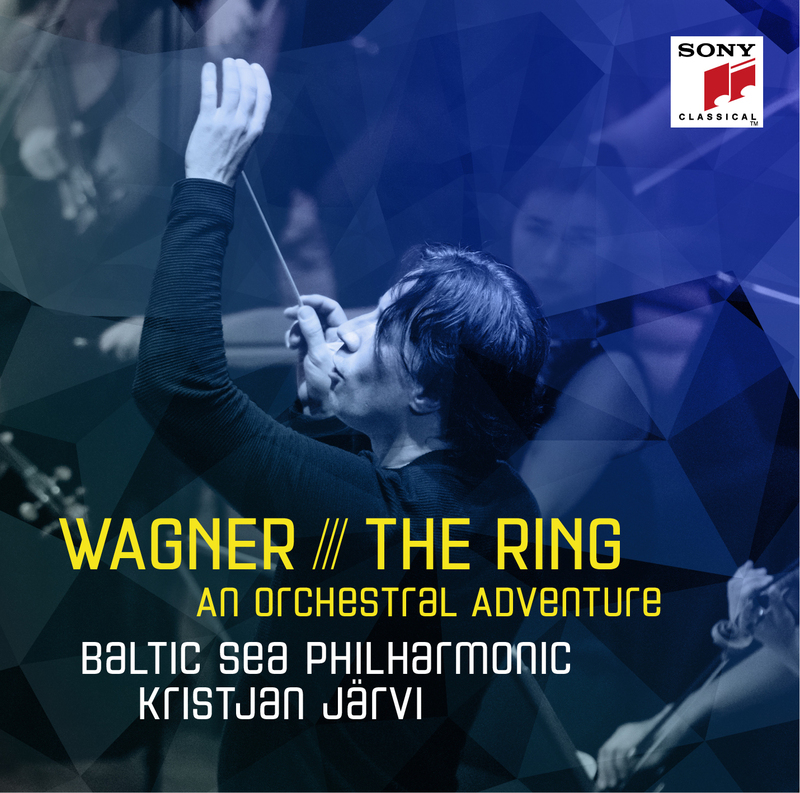 In the same year, the orchestra’s second album was released on Sony Classical –an orchestral version of Wagner’s The Ring, arranged by Henk de Vlieger. The Baltic Sea Philharmonic made history in 2017 by becoming the first orchestra in the world to perform Stravinsky’s The Firebird from memory, setting in motion a new plan to play certain symphonic works by heart on future tours. The experience of performing The Firebirdfrom memory was a liberating and inspirational one for many of the orchestra’s musicians, and Kristjan Järvi, who has always encouraged the players to be open and fearless in their music-making, says: ‘Musicians came up to me afterwards saying, “We want to memorise everything. We only want to play from memory from now on.” That is a brilliant attitude.’Also in 2017 the orchestra pioneered a thrilling immersive concert experience for its nature-inspired ‘Waterworks’ tour, combining cutting-edge projection art with atmospheric sound and lighting design, in collaboration with Sunbeam Productions. By the start of 2018 the orchestra had performed for around 100,000 concert goers in 47 cities in 14 countries, and given nearly 100 concerts in ten years. In its tenth-anniversary year the Baltic Sea Philharmonic will continue its adventurous project to perform symphonic scores from memory and will, for the first time, tour outside Europe, when it takes its pioneering ‘Waterworks’ programme to the United Arab Emirates in November. The orchestra will give the world premiere in July of the Violin Concerto by Lithuanian composer Gediminas Gelgotas, with Swiss violinist David Nebel as soloist. The ensemble’s commitment to contemporary music is underlined by its role as a co-commissioner of a major new work by Steve Reich, Music for Ensemble and Orchestra. The Baltic Sea Philharmonic is part of an illustrious group of commissioning orchestras, including the London Symphony Orchestra, the New York Philharmonic, the San Francisco Symphony and the Los Angeles Philharmonic, the last of which will give the world premiere of Reich’s work on 1 November 2018.